India is the ultimate cultural highlight. This country hosts millions of people, along with endless history and outrageous sweet powder riding options! Skiing and snowboarding in this incredibly interesting mountains is something which will provide you with stories to share for a lifetime. Hard to describe - you need to go, touch, see and smell it. It’s about time to hit the curry powder! When you think of India the first words that might come to mind are hot, dusty, and crowded, but skiing in India is the complete opposite. Way up in the Himalayas, India’s massive mountain range, you’ll find that the weather is cool, the snow is soft, and the crowds are few and far between. Although you might think of India as being exotic, after skiing beneath the country’s beautiful snowcapped peaks and wandering through enchanting Indian villages, you’ll probably agree that it’s somewhere you’ll want to return to again and again. But don’t wait too long to book your trip to India because it is quickly becoming one of the new secret spots for skiers, so let LUEX help get you there before everyone else. The Himalaya Mountain Range, home to India’s leading ski resorts, boasts some of the highest peaks in the world so get ready for long, long descents. On our ski trips in India you can have your pick of open glades, steep chutes and faces, fun tree runs, and thrilling cliff drops. Although the mountains might be your favorite thing about India, there is a lot more to enjoy in this beautiful country. On your way to the region of Kashmir, where your skiing adventure begins, you can enjoy views of villages, orchards, farms, temples and many other local sights. 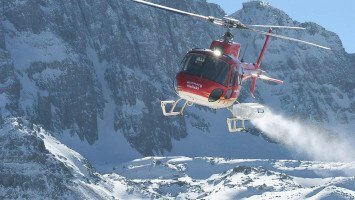 We offer freeride and heli-ski trips in India, including heli-trips provided by some of Switzerland’s expert pilots flying top-of-the-line helicopters engineered in Switzerland. Because skiing in the Himalayas is all about steep and deep, are trips are best suited for intermediate, advanced and pro skiers and riders. 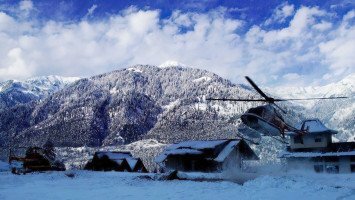 Some companies offer ski trips that are only for diehard adventurists and others might be best just for families with kids, but we have ski trips in India that are suitable for every type of traveler including families, groups, couples, and solo travelers. 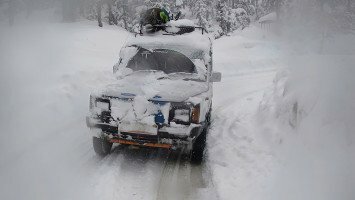 All of our India ski trips are also great for people who like to get away from it all because no matter which trip you choose you can count on a low crowd factor. No crowds, steep slopes, could it get any better? How about budget and medium-priced trips to make this India skiing and snowboarding vacation even better? We offer trips that are suitable for those who don’t want to spend a lot to have a great time. 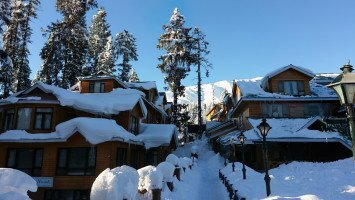 On a ski trip in India you can also pick the perfect trip to suit your taste in accommodation and cuisines, from chalet, lodge, or hotel-stay, to full or half board. No matter what you choose, a trip to India is almost a guarantee that you’ll also be going on the culinary journey of a lifetime because this country is known for some of the most wonderful food in the world. Finally, after your days on the mountains and your nights of fine dining, if you still have time for more fun, you might consider adding a visit to somewhere like New Delhi or the Taj Mahal to your list of India adventures. Skiing in India is like entering another world, a world where the flavors are different, the mountains are taller, the lines are shorter, and the new discoveries seem to never end. India might be one of the world’s undiscovered skiing paradises and you could see it all and ski it all before everyone else.